built upon the theft of indigenous property. To read the full article, press ﻿HERE﻿. To read the full article, press HERE. "I’ve learned a few lessons that seem worth sharing with the many readers who advise students applying to graduate school in the humanities or social sciences. Perhaps the most important piece of advice for undergraduates planning to take this step is the most obvious: Start early. But for the focused and determined applicants, a thoroughly considered approach can be managed with forethought and method." Click HERE to read article. Within this rich volume of edited essays, Shorter provides the meaning, context, and ramifications of using the word "spiritual" to describe Indigenous peoples. Working across ethnohistorical accounts, Shorter demonstrates how references to Indigenous people as "spiritual" served their being dismissed as illogical, impractical, mystical, and lacking rationality. Moreover, Shorter brings this history into conversation with the the philosophy of knowing and the commonplace practice of people claiming to have Indigenous spiritual connections. The legal result is the continued loss of land for claims of "sacred" space. To learn more about this volume, click HERE. 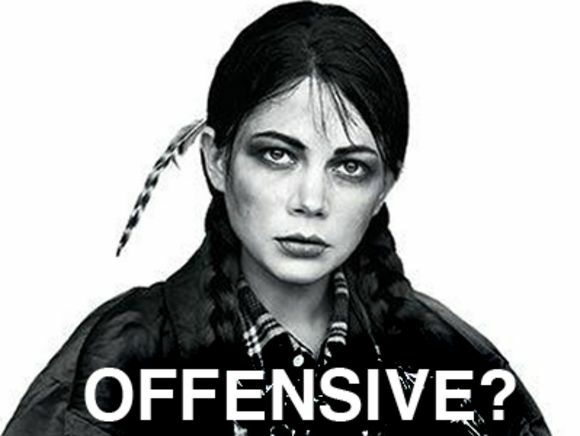 "Everything you know about Indians is wrong." As the provocative title of Paul Chaat Smith's 2009 book proclaims, everyone knows about Native Americans, but most of what they know is the fruit of stereotypes and vague images. The real people, real communities, and real events of indigenous America continue to elude most people. 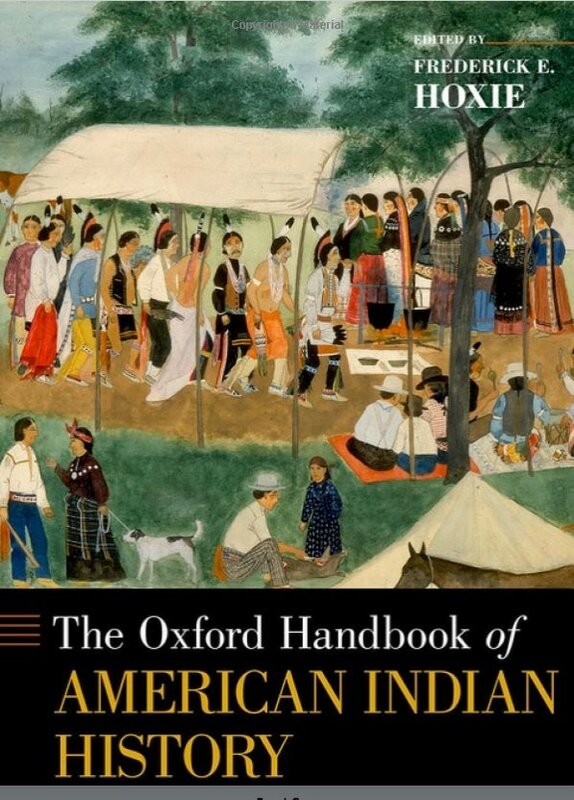 The Oxford Handbook of American Indian History confronts this erroneous view by presenting an accurate and comprehensive history of the indigenous peoples who lived-and live-in the territory that became the United States. In 2012, I was teaching a course on indigenous political struggles around the world. On a list of resources, I included United Nations and International Court of Justice documents designating Israel as an occupying power. A right-wing organization claimed publicly that I must be anti-semitic to ask students to consider these internationally known facts. This essay describes the three years that followed as campus committees unanimously determined that my rights were violated and that the administration failed to defend academic freedom at UCLA. 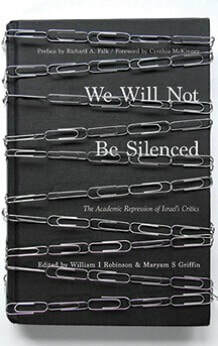 "These testimonials provide a stunning and all too familiar portrait of the extent to which the forces that suppress free speech and academic freedom are at work in the US university system to stifle those who would call for social justice in Palestine. . . . These voices must be heard." ​"To those of you on the Left: Hillary may not be your candidate of choice. She may even espouse positions you find morally reprehensible. Her nomination may evidence for you all the gross aspects of a two-party political system in the U.S.A. But her presidency is the singular path forward at this point to change the nation to more closely reflect your ideals." ​Read the full article HERE or by clicking the image on the left. "Some of the most ethical people I know, those working for social justice and environmental preservation for example, are not only unaffiliated with organized religion; they are atheists." Read the full article HERE, or by clicking the image on the left. In December of 2015, Shorter provided some insight into developing a personal plan of action for the new year for those hoping to enact change in their lives. Read the full article HERE, or by clicking the image on the left. ​at the expense of academic freedom . . .."
​In the Summer of 2015, David Shorter commented on the Rachel Dolezal affair by connecting her identity claims to those of Professor Andrea Smith and politician Elizabeth Warren. Shorter affirms here that identity is a confusing matter for some, but that confusion should not lead to claims that jeopardize the sovereignty of tribal nations, nor should they come at the expense of others who are not confused. More importantly, Shorter asks, "can't we simply do great work regardless of our identity?" You can read the essay HERE. (Image of Michelle Williams corrected by Jezebel.com from their article available HERE). In the Spring of 2015, David Shorter had two of his essays included in the "landmark" collection of essays, The World of Indigenous Native America, Edited by Robert Warrior. Leading the section on "Geographies," Shorter co-wrote with Yoeme author, Felipe Molina, a piece grounded in Yaqui (Yoeme) performative cartography that hypothesizes how indigenous mapping practices often extend beyond the confines of literate notation, or writing. In the book's final, more broadly theoretical section entitled, "A Complex, Modern World," Shorter's essay on "Sexuality" asks readers to imagine how sexuality and power are parallel if not coordinated among some indigenous people. The essay queries theoretical approaches to indigenous sexuality studies and asks the fundamental question of how we might want to decolonize our desires. The book is available for purchase by clicking the book's cover image here. Considering asking your local libraries to purchase the text in order to provide your community with an invaluable resource written by contemporary scholars working within Indigenous Studies. "Attunement" is the curatorial essay that David Shorter wrote for the group show by that same name at the Armory Center for the Arts in Pasadena, California from October to December of 2014. In this statement, Shorter wrestles with the power of art to foster intersubjectivity between humans, other than humans, and "art" commonly thought of as objects. You can read his essay, and see the gallery guide by clicking the pdf immediately below the image to the left. 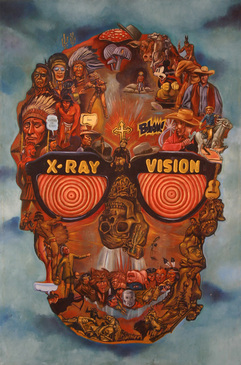 Image featured here is Randy Vasquez's "X-Ray Eyes, 2014." In the Fall of 2014, Dr. Shorter distilled his advice for entering graduate students for The Chronicle of Higher Education. ". . . who goes into academia to make money, right? As I was told by senior scholars when I started out, “You write a book to get tenure, not to earn a profit from that book.” (Click on the image to read the full piece). Remember the days of doing fieldwork? The long weeks you spent alone in a foreign community, working out ways to learn languages and think about “culture” without the closeness of your friends and family? If you do, then you are officially “old.” This summer I went to a still fairly remote village in Mexico for a fieldwork trip. My smart device had a signal. I could have real time text messaging and even video chats with my friends at any point. This same device’s camera, video camera and audio recorder have substantially simplified data collection and fieldwork. (To continue reading, click here). I am sure that I share this experience with many people who work in Native Studies, or in the study of indigenous religions at least. I often find myself meeting people and then having to field their inappropriate responses after hearing what I “do.” To be more specific, people seem to have absolutely no idea how their responses evidence a totalizing colonial mindset. (To read more, simply click here). "Confessions of an Anthropological Poser." American Indian Culture and Research Journal 15:1 (2010), 113-117. "Forgive me father for I have sinned: it has been seventeen years since I began studying anthropology." "Hunting for History in Potam Pueblo: A Yoeme (Yaqui) Indian Deer Dancing Epistemology." Folklore 118:3 (2007), 282-306. "The essay details how, in Yoeme deer dancing, community members demonstrate collective identity as well as ontological and epistemological sensibilities. Additionally, it re-assesses the ethnohistoric utility of the term “conversion” when writing about colonial and missionary contact zones." "How Do You Say "Search Engine' in Your Language? : Translating Indigenous World View into Digital Ethnographies." Journal of the World Anthropologies Network 1:2 (2006), 109-113. "In this paper, I want to address these two issues. How do indigenous groups, often living in sub-poverty conditions, want to use the globalizing technologies of the internet? How do they understand their place in the word wide web? Then, how do they make a place for themselves in this virtual world?" "Binary Thinking and the Study of Yoeme Indian 'Lutu'uria'/'Truth.'" Anthropological Forum 13:2 (2003), 195-203. 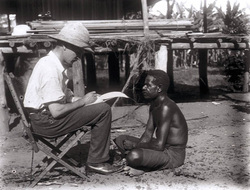 "As the written interpretation of culture, ethnography has been and continues to be shaped by hermeneutical assumptions and criticisms. The use of the term ‘supernatural’ in anthropological literature evidences a way of seeing the world that often, if not always, reflects historically situated, particularly ‘modernist’, approaches to understanding culture, especially the cultures of non-Western peoples." "Yoeme (Yaqui) Ritual." The Encyclopedia of Religion and Nature. Bron R. Taylor, Ed. London: Continuum Press. (2005): 1780-1782. "As other contributors have noted in this volume, the word 'nature' has no direct translation in Yoeme; nor can we directly translate 'religion.'"